You are here: Home / Lunch / Vegan Mac & Cheese… and Vacation Troubles! I’ve been eating my old favorite, vegan mac and cheese, even though technically, I’m back to eating regular cheese. What can I say, vegan mac & cheese still hits the spot! I know I’ve posted this on my old blog, but I’ll mention the recipe again, just in case you missed it! Trust me, even if you’re not vegan, this stuff is GOOD! Heat 1/3 cup of water until it’s boiling. Stir in the couscous and remove from heat. Cover and let stand for 5 minutes. 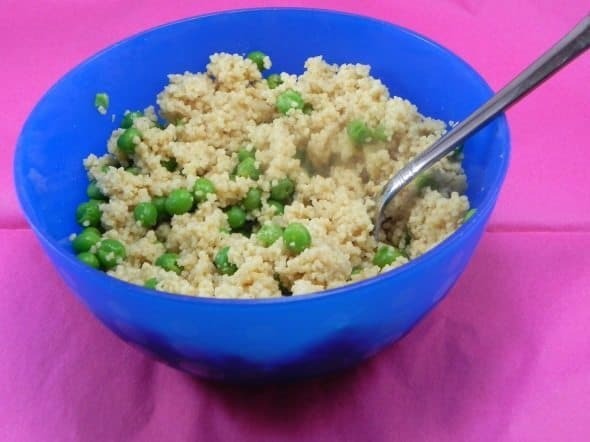 Fluff with a fork, and stir in the nutritional yeast and peas. You’ll need to thin out the nutritional yeast with a little soymilk. (You could just use water, but I like the added creaminess of the soy milk.) Sprinkle with salt and red pepper flakes. Dig in! So I’m going back to Ohio for thanksgiving, and I’m so excited! However, it seems like any time I go home (or on vacation) my healthy eating goes out the window! I’m overwhelmed by choices, and activities seem to revolve around food. And let me tell you, the food presented isn’t usually carrot sticks and hummus. It’s tortilla chips and guac, or cookies and cake. It can be a diet disaster. What’s a girl to do? The other trick will be fitting in some workouts. I won’t have a gym available to me over the holiday, and unfortunately, the weather in Ohio is colder than Virginia, so I’m not sure I’ll want to run outside. Do you guys have any tips? I’ll have free weights, and open space in my basement. I’d DEFINITELY like some home workout tips! 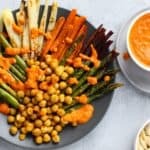 « Vegan Thai Tomato Soup! The Mac n Cheese recipe looks good, Liz. Sounds like you have a good game plan heading into your Thanksgiving visit to Ohio. I don’t shoot for being perfect on the holidays. I do the best I can while still exercising and enjoying some holiday treats in moderation. I made my own “mac and cheese” in my rice cooker last night with brown rice, almond milk, coconut milk creamer, nutritional yeast, chicken broth, and black pepper… soooo creamy and awesome! I need to put peas in it next time! Ohhh that sounds really good!!! I’ve never tried it with rice! You live in Ohio?! I live in Indiana. 🙂 We’re neighbors! Awh, I was getting excited! I blogger meetup would have been cool! Where do you get nutritional yeast? I’d love to play around with it! 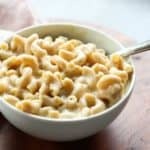 I love how few ingredients there are in your mac n cheese – all ingredients I love too! How funny that you made this!? I was just commenting on HEABS post yesterday about how I wanted to try a quinoa “mac n cheese” ish dish with peas and chicken sausage!! tooo funny 🙂 Looks awesome! I <3 peas. This looks yummy.. I need to get some nutritional yeast! As far as home workouts, I go to fitness magazine’s website for ideas! The mac and cheese looks yummy! Usually around the holidays my healthy eating goes out the window too. But the last few years I have done pretty well! For me, I stick to the one plate rule. at each meal I have one plate of food and one dessert and thats it. No 2nds, 3rds, 4ths, etc. It makes me stop and make decisions on what I want to eat. My eyes are way bigger than my stomach, so I need the portion control. But mostly I just relax. If I miss a workout, its not the end of the world. If I eat a little too much pie, I limit snacking the next day. I try not to have too many rules about holiday eating, because it usually sets me up to eat more. Girl you are SO sweet!! that mac and cheese is SO creative and looks awesome! I hope you have an amazing thanksgiving! SUCH a perfect “home alone” meal. 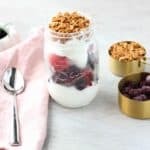 Easy peasy, healthy and made for one! I really need to work on upping the nutritional yeast (aka b12) in my life so I’ll bookmark this one!